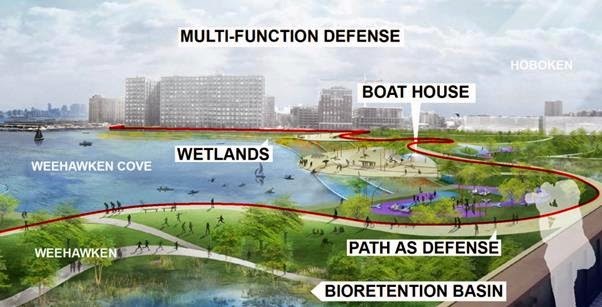 A comprehensive water management project that will protect Hoboken, Weehawken and northern Jersey City has won $230 million of federal funding as part of the Rebuild by Design resiliency competition. This unprecedented level of funding will enable Hoboken and its neighbors to finally solve the flooding problem that has plagued the region for so long. The comprehensive strategy was developed by an international team of experts led by the firm OMA. 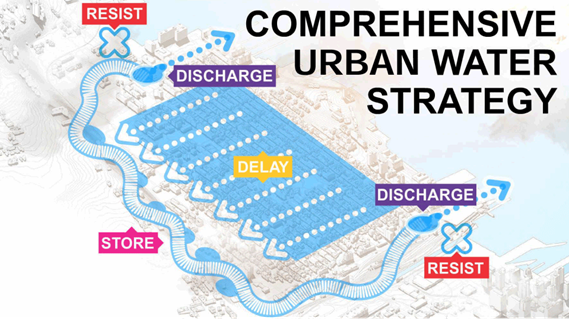 The proposal titled "Resist, Delay, Store, Discharge: a Comprehensive Urban Water Strategy" employs a multi-pronged approach to address Hoboken’s historic flooding challenges. Details of the proposal can be found at www.rebuildbydesign.org/project/oma-final-proposal. Mayors Zimmer and Turner expressed their gratitude to HUD Secretary Shaun Donovan, Senior Advisor to Secretary Donovan Henk Ovink, Senator Robert Menendez, Senator Cory Booker, Representative Albio Sires, Jersey City Mayor Steven Fulop and all the members of the Christie Administration who worked to help make this project a reality. “Over 50 elected officials, agencies, and community organizations, leaders and individuals provided letters of support for the OMA proposal, and on behalf of the City of Hoboken, I would like to say thank you to everyone,” added Mayor Zimmer. 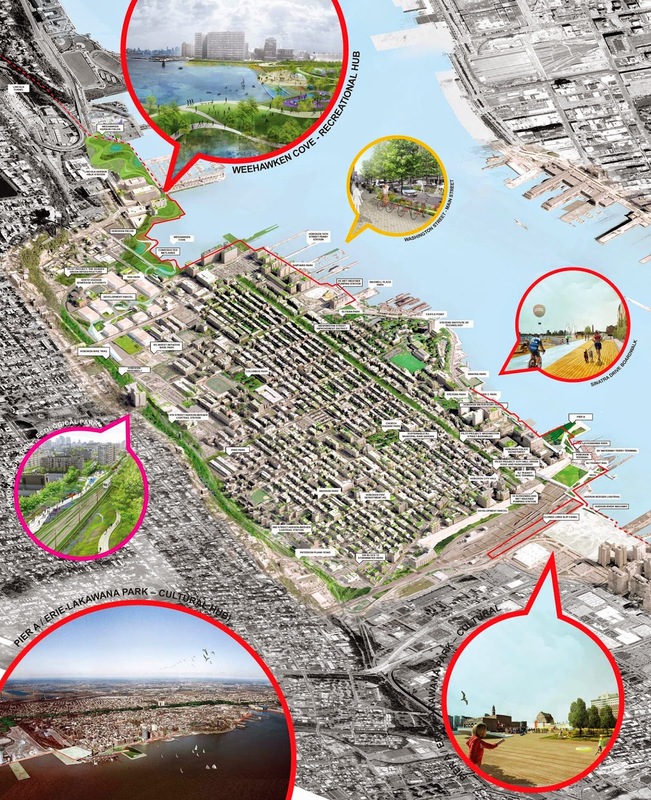 The City of Hoboken will be doing extensive outreach including holding a series of community meetings so residents can provide their input and learn more about this historic opportunity.